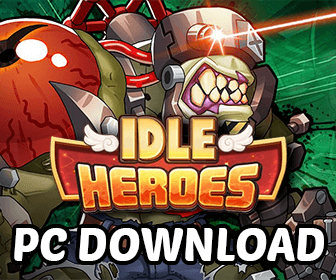 Are you looking for a way to download and play Idle Heroes on PC? In this article, I am going to show you the best, the easiest way to play the game right on your computer. All you need to do is just to download and then press Play! Because Idle Heroes is a mobile game, this means you cannot play it directly on your PC. We need to run an Android Emulator on your PC and play the game via the emulator! No worries If your computer is a low-end one, you can still play the game very smoothly. We are going to use Bluestacks, the absolutely best Android Emulator for years now. I believe that a lot of players want to ask me why Bluestacks? Why not Nox, MEMU or the other notable Android emulators? Bluestacks is one of the first Android emulators. It was founded in 2009 and the first public alpha release was launched in 2011. Bluestacks always releases the new version of the Android App Player every year with so a lot of improvements and new features. We are currently at the 4th generation of this Android Emulator. It is so obvious to see that Bluestacks is hands down the best emulator you want to use to play Idle Heroes on your PC at the moment. Note: You are gonna be playing in Android servers. Why Play Idle Heroes On PC Using Bluestacks? How To Play Idle Heroes On PC Using Bluestacks? 3. Start Downloading Idle Heroes! 4. Let's Play Idle Heroes! Why Idle Heroes Is The Best Game For Any PC? Super easy to install. Simply download and play with just 1 click. Custom Specs: RAM, CPU, Resolution etc. You can customize it with your own settings! Extremely high performance (6 times faster than Samsung Galaxy S9+). Designed to work with any computer/PC! Simple UI: It is super easy now to use Bluestacks. All of the core game playing functions are already included on the main screen. New and Improved Keymapping: Perfect for playing mobile games using your PC keyboard. Built-In Streaming Function. You now can easily stream your gameplay on both Facebook and Twitch with just a single click! Firstly, we need to download Bluestacks. OS: Windows 7 and above; macOS 10.10 and above. Processor: Any Intel or AMD Processor. RAM: 1GB of RAM Minimum. Free Disk Space: 4GB Minimum. Click on Complete to start playing Idle Heroes on Bluestacks! Choose the language you want to use. At the moment, Bluestacks supports up to 54 languages. At this step, Bluestacks will ask for your Google ID and Password to use all of the Android services. If you don’t have any Google ID yet, create one for free at here. If you are playing Idle Heroes Private, you can download the apk installer file at here, right on your PC. then simply open it to play. After you click on the Start Using BlueStacks button, the Idle Heroes install window will show up. Simply click on the Install button to Install the game! It’s downloading. This might take up for a minute depending on your internet connection. Click OPEN to start playing Idle Heroes PC! 4. Let’s Play Idle Heroes! The game loads super fast. If you already have an Android account, you can sign in by clicking at the account icon located at the top right of the screen. This way, you don’t have to finish the tutorials at the beginning of the game. All functions of the Idle Heroes on PC are loading very smoothly. I have been using Bluestacks to play the game for a few months now but haven’t faced any problem! If you don’t have any Idle Heroes account yet, it’s recommended to create one to save your account progression. You can easily sign up by going to Settings → Sign Up. And we are good now! From now on, you can easily play the game by using Bluestacks on your PC! If you have any question, feel free to comment down below and I’d be happy to help help you out! Im using iOS. Can I load my account here on Bluestacks? I’m so sorry but the iOS servers and the Android servers (Bluestacks is Android) are totally different. For example, the server #01 on iOS is not the server #01 on Android. Thus, you can’t load and play your account on Idle Heroes PC. Hopefully, DHGames will do something in the future to help connect both of these. You can take screenshots with easy by just tapping on this icon, which is located right on your screen at the bottom right. The screenshots are saved on your Desktop! I have only 1GB of RAM, can I play smoothly? But you will need to download Bluestacks v2.0. How to change the Emulator screen resolution? And enter your own settings. How to change RAM or CPU Core number? Similar to above, go to Settings > Engine. What Is The Recommended System Requirements? CPU: AMD or Intel Multi-Core Processor with Virtualization Extensions Enabled (You can easily turn it on via the main BIOS). Graphics: Any processor that has PassMark score > 750 points. If you are facing this annoying problem whenever you try to use the Bluestacks Installer, it means you are using the wrong version of Bluestacks which doesn’t support your current OS. In this case, you will want to download and use Bluestacks 3N instead. It support 32-bit OS. Bluestacks 4 currently supports 64-bit OS only. Downgrade? Latest version already installed! If you are using Windows OS and facing this issue, there is a very simple way to fix it! Open the Run window by pressing the Windows button + R button (both at once). Remove the Bluestacks folder inside the SOFTWARE folder. You are good now. Try to install Bluestacks again! BlueStacks seems slow. What can I do? If you haven’t enabled virtualization on your computer yet, do it now! This is usually the main reason causing Bluestacks laggy. Follow this tutorial for more details. Give your BlueStacks more CPU and RAM via the BlueStacks Settings. Close the other running programs to see if it improves the speed. Make sure your Antivirus is not disabling Hardware Assisted Virtualization. Idle Heroes is the intensive fun as well as role playing action game and it is the popular RPG game around the world. Many people start using to download this game on Google Glay so that you might get to celebrate spring with game limited time updates. It is the best game to adults and teenagers because it has fantastic game play features. Actually this game might breaks down into the few ideas like you can consider certain things while building your team of the Idle Heroes. At the same time, different kinds of the aspects are there in this game which might not be commonly known or obvious so you can follow some tips to get excellent gaming experience. Some of the tips might cover team composition building, cover heroes, class and faction consideration. While playing game, you must know about how effectively compare heroes against each other. When you are looking to build best team then you must require best heroes in game in order to play game effectively. Frankly speaking, I have been playing Idle Heroes game for few weeks and I do like it on each aspect of the game which is filled with the usual f2p antics which is really beneficial to players. This game is pretty sufficient and generous with its premium currencies and it could be used for purchasing each type of the products and upgrade your weapons in order to fight fantastically in awesome and cool way. This type of the game is where you might be going to log into do certain things and throughout the day. If you are using some unique strategies then you can maximize your winning chances or else you might be struggled a lot to improve your winning possibility. Before you plan to collect information about Idle Heroes game, you must required strong internet connection either 3g or 4g or else you might be struggling a lot to play your desire games. In fact game might take some elements of the idle game and this kind of the game mix it with collection RPG elements just like hero gathering and gear with lots of different types of rarity levels. However I didn’t see any type of the rebirth option and you must require new heroes or grind better. This game has been categorized as the game clicker category. It has been published by idle games company. It comes from Beijing, China. Publisher of the game is unknown and it is gaining more popularity to attract players and this game is having excellent key characteristics. As I said earlier, game is equipped with the unique and many features. Player can start with huge varities of the heroes, simplicity and uniqueness of gameplay. This game is getting highest review in Google play store. I really provide awesome appreciation to this game due to its gameplay because it is awesome to me. This game was released on November 9, 2016. Now a day most of the people are interested to play this game because of its gameplay and features. It is gained positive reviews and good comment which is made by players all were encouraging. Talking about visibility aspect of game, right now game is having maximum total of 5 million downloads on the play store. It is the great game to play it with your friends. It is fun filled game which is having graphical designs. Player level is crucial one for many reasons. As you level up, you might unlock access to the different parts and areas of game. One of the best ways to increase your experience a point per hour is that pushes in campaign. Idle auto battling is excellent way to get coins, spirit and experience points which is crucial resource to power up your hero. Daily quests might offer lots of resources which is difficult to find. Player might get handsome reward to complete standard rotation of the actions. It is always crucial to complete daily quest everyday so you might not lose out on the rare and free resources. 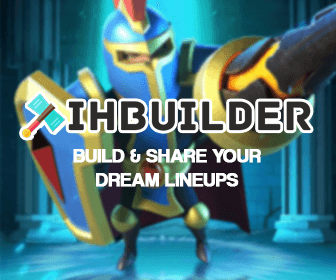 Idle Heroes PC was developed and created by DHGames, which is developers of the fantastic action games like dungeon rush, the treasure defense game, avenger legends, the kingdom in chaos game, the galaxy defend game and turn and turn game. Actually speaking, this game is having graphics and sound. Different ways are there to play this game but you must use unique strategies to play the game. It could be the fantastic action game and you might play it with your friends and family members. Massive numbers of the game resources are available such as coins, gems, spirit, hero shards, hero promotion stone, dragon scale, magic dust and soul stones. Gem is part of pay to play aspect of game which is offering fantastic benefits such as summon heroes, buy arena tickets, buy items from marketplace and buy casino spins. People can gain gem from different things like watching adverts, completing challenges, completing daily quests, sign in bonus, winning fights from friends menu and winning arena battles. After release of game, some of the factors and features might be added up in making the game in order to make useful gameplay. Now, newly features and things might be fixed and added up to game. Player can access new Celestial Island battles which could be opened now. Developer of this game could be added 5 new guild raid bosses on the game and it might be added new player level cap. There are some new functions added as well as hero skin. Other bug and game optimization could be fixed too. In a modern world numerous numbers of the game options are there but people love to play Idle Heroes on PC. If you are playing this game then you can get more joy and fun. Massive numbers of the features are involved in Idle Heroes such as evolving strategy, idle system, guild wars, tons of content, kind reminder and worldwide arena. It is the standard action game which might play very well in useful way. Generally speaking about gameplay, the basic aspect of this game is that fantastic and nice. Anyone can easily understand gameplay of this game and how games could be designed. This game starts from the six stars equipment, six stars heroes, game’s diamonds and other things. This game is providing many features to free to play in game and you can join into the team to play your desire game. Player might join guild in this game and it is having pvp system which might be quite fair. If you are looking to save your money then you must use some unique strategies. In a game, you might be lost some old player and cash user player. This kind of the game is providing you auto battle system so you no need to busy yourself sweeping area in order to find out some good experience and equipment. The game and basic strategic part is providing idle system which might make your character keep farming all time when after you might be switched into been offline. If you are playing casino, tower system and blacksmith then Idle Heroes could be complete for me. It is having many offers for new gamer. Ardennes assault might be stand alone and single player game. Total amount 0of trial demanded and error in onset which might be averted by offering introductory assignment and it provides its heroes essential direction to games unfamiliar with all elementary controllers. Overall gameplay of this game is intense and fun. There are amazing numbers of the reasons are there to play this game such as heroic quests, dungeons aplenty, battleground galore, mysterious towers, guild, arena and much fun to enjoy. Watch your desire heroes PK online in the multiplayer contest for glory. It is the mobile game by idle games and it is the best mobile, fantasy and RPG with the turn based combat. It is currently available for both iOS and android platforms. There are many heroes are available which you might use it to form team. There are excellent ways to maximize your heroes power and enable it to progress via game faster. Different types of the resources are available in the game and each resource might serve as different purpose. Graphical aspect of the game is fantastic and nice. It is equipped with the excellent standards in which all added to feel and fun part of game. It has fantastic graphics and there is no matter odds. Design of the game environment is nice and it has smooth character designs. Game models are textures and nice which is not blurry. The blood is realistic and this kind of the game is having splatters and stays. Drawback of the game is about that there are some clipping issues and graphical glitches. On the whole, graphics and sound of the game is good. Actually sound aspect of the game is fantastic one to play your friends and everything about game might ad to fun and feel part of game entirely. Sound aspect is interesting one which makes scary sound whenever each of character might get defeated or to be defeated. General aspect of the enemies noise could be designed brilliantly. Really soundtrack is not all there though but it adds to feel of game. Voice acting is moderate which is best option and it could be stiff and forced most times. Overall sound aspect of the game is fantastic one which might add to feel of game. According to the studies say that more than 12 millions players are playing this game because of its gameplay. This game comes with the useful numbers of the features such as game optimizations, brand new game interface, new hero skin like das moge: radiation, Sigumd: Red lotus knight and hero balance optimization. Evolving strategy, more than 200 heroes in the different factions along with the specific skills. Summon your warriors, convert them into the spirit material or train them to powerful heroes for evolving. Outfit your warriors and forge magical gears for victory. Worldwide arena, you might put forth your best heroes to do battle in arena. Watch them PK online in the multiplayer contest to glory. Climb leader board for perfect rewards. Idle system, you might set your heroes training when you are away. While you return to your phone, they might be gained new abilities, stronger and ready for battle. Train and grow extremely powerful squad without all grinding. Idle Heroes is really great game on PC to play and player can do lots of things in this game. It is one of the best types of games like strategic game as well as cool to play with your friends. In this game, player can fight with evil forces of floating mountain along with your team of heroes. You might form the unique and perfect strategies and embark on the epic adventure when you are to defeat the darkness. Just join guilds and play with your friends against world. If you are interested to play role playing game then you are advisable to play Idle Heroes game because it has useful gameplay.